132 color + b-w illus. 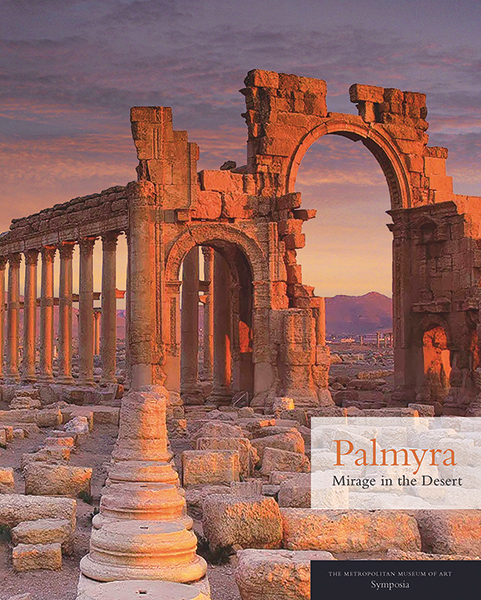 In this important and timely publication, top international scholars present current research and developments about the art, archaeology, and history of the ancient city of Palmyra, a UNESCO World Heritage site located in Syria. Palmyra became tragic headline news in 2015, when it was overtaken by the Islamic State of Iraq and the Levant (ISIS), which destroyed many of its monuments and artifacts. The essays in this book include new scholarship on Palmyra’s origins and evolution as well as developments from both before and after its damage by ISIS, providing new information that will be relevant to current and future generations of art historians and archaeologists. The book also includes a moving tribute by Waleed Khaled al-Asa’ad to his father, Khaled al-Asa’ad, the Syrian archaeologist and head of antiquities at Palmyra, who was brutally murdered by ISIS in 2015 for defending the site. Joan Aruz is curator emerita, Department of Ancient Near Eastern Art, at The Metropolitan Museum of Art.